THE SKINNY: I love when something smells like the name on the package. 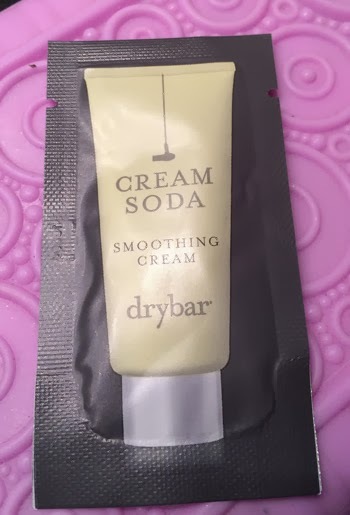 Drybar's Cream Soda Smoothing Cream smelled wonderfully sweet, just like a cream soda from the fountain. And the lightweight cream also felt great in my hair. With just a small dab -- the sample pack was enough to use FOUR times on hair that falls just past my shoulders -- my hair stayed in place and looked great all day. You apply the cream to damp hair and style as usual. This is my preferred method for these type of products because they help protect hair against heat from the dryer or flat iron as well. 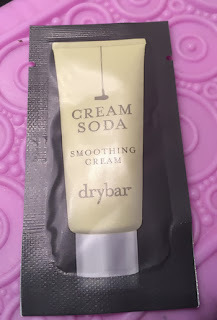 CHECK IT OUT: Drybar Cream Soda Smoothing Cream also gets great reviews from Sephora customers.